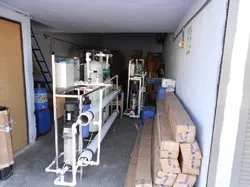 Incepted in year 2007, we, Success Water Treatment, in manufacturing a commendable range of Mineral Water Plant, Water Treatment Plant, Sewage and Grey Water Treatment Plant, Reverse Osmosis Plant and many more. 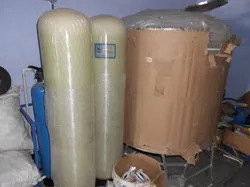 The water treatment pants and systems offered by us are widely acknowledged in the market for their attributes like longer service life, corrosion resistance finish, low maintenance, high tensile strength, robust design and dimensional stability. 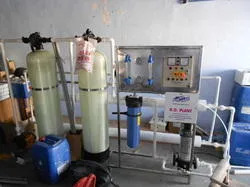 Widely acknowledged for the above mentioned features, these water treatment plants are demanded by hotels, restaurants, hospitals, residences and mineral water plants are few to name. Quality being a core concern for our organization, we lay special emphasis on the quality of our offered range of products. 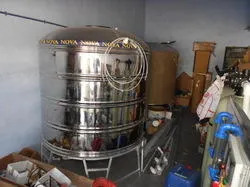 For the same, we utilize quality-approved raw material like steel and other components that are obtained from the accredited vendors of the industry. Furthermore, we have constructed a robust infrastructure facility at our premises, installed with sophisticated amenities like ultra-modern tools and technically advanced gadgets, which are operated by our team of professionals. Under the efficient guidance of our mentor and director, ‘Mr. Aniket Patel’, we have been able to muster our position in the markets across the nation. Owing to his in-depth experience, commendable knowledge and visionary persona, we have been able achieve huge client-base and predetermined goals of the industry. Our organization is backed by a team of diligent and dexterous professionals. Team which we have comprises highly qualified professionals, who efficiently execute entire business related activities whether relating to production and management. Furthermore, our team understands the emerging requirements of the clients and employs striven efforts to cater to the same with revolutionary products. It also makes us to develop more client-concerned business policies. In these manners, with the firm support our team, we have been able to attain predetermined goals of the organization by serving clients in the best manner. With an aim to accomplish entire production process in a productive manner, we have strategically developed a sound infrastructure setup at Ahmadabad (Gujarat, India). With due consideration, we have provided this setup with all latest machinery and amenities so as to ensure a hassle free flow of process. Furthermore, this setup includes a sound R&D wing which makes us to introduce improvised and innovative products. To make prompt delivery of consignment, we have linked our setup with all the major transportation facilities. Backed by such systematized setup we have been able to undertake bulk demands of the clients. Below cited are the wings in which our setup is dissected. We offer our clients with the best gamut of Water Treatment Plants, which can surpass their expectations owing its quality. This gamut is developed by making use of supreme quality required basic material, procured from the accredited vendors of the industry. Moreover, we design and develop this range in complete adherence with the defined parameters of the industry while taking into consideration requirements of the clients, followed by detailed R&D. product-line which we offer is highly appreciated for its significant attributes such as longer service life, efficiency and performance.